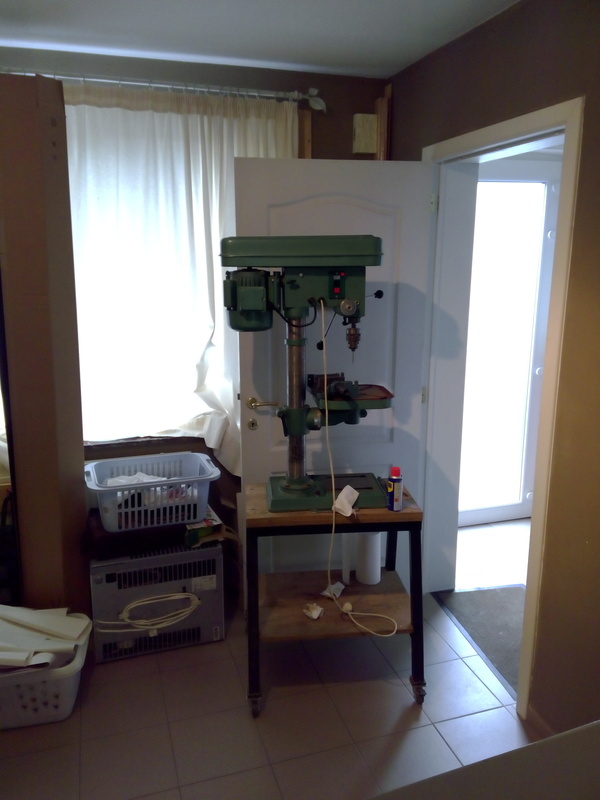 I recently bought a Criko THD-16 drill press from 1992. It is in good general shape, except for the quill pulley bearings that get fairly noisy when I tension the belt. I thus decided to take everyhting apart, clean it thoroughly, remove the rust, and replace all the bearings. You know, just in case. Some more details (in French, sorry) in my post on the forum of Copain des Copeaux. Also, more pictures available here. For my father's 60th birthday, I made an end-grain cutting board. 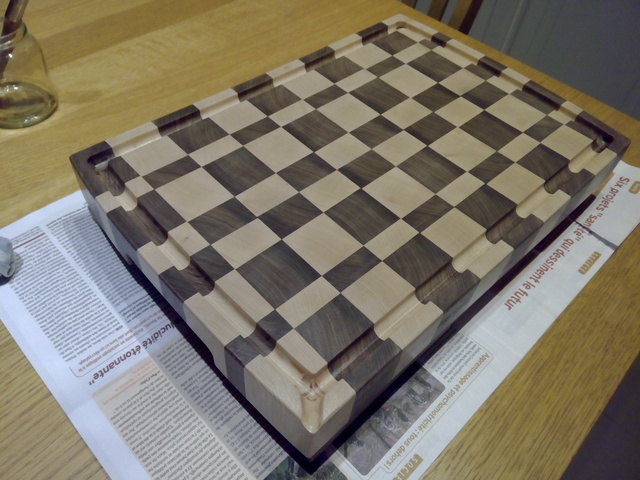 It's made out of walnut and maple and took me some serious hours of work! The first one is a hard cover copy of The 8088 Project Book by Robert Grossblat. It seems that it is a reference on the subject, I'm eager to start reading it. Stay tuned for more Bidule88 posts in the future! Bidule88 Part 02: It runs!